Please select an option Animal print Beige Black Brown Pink Red White Mint green Blue Light blue Purple Lavender Yellow Green Gray Please select a Color. 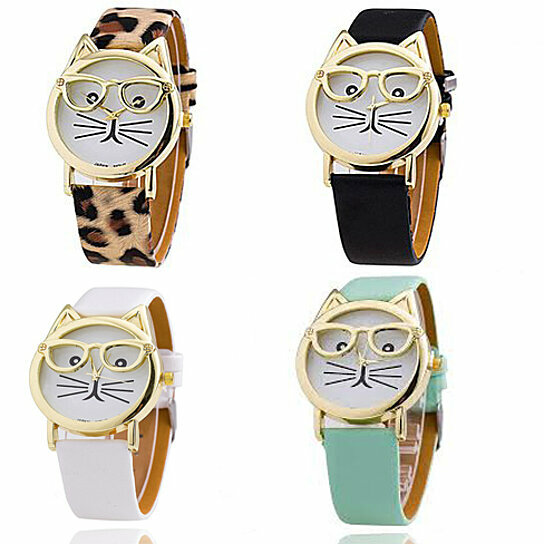 This adorable yet stylish watch is the cat's meow!! It is positively purr-fect for women of all ages, and is sure to be a conversation piece. Dial - Approximately 1.5" in diameter.